Aaaahhhh. As I have gotten older, my health has become a major priority in my life. I am TRYING to eat better, stay more active and drink more water. I also like to add nutritional supplements to my diet. I already take a round of multivitamins, minerals and of course, vitamin C but I have forgotten about a healthier stomach. Since Emma's injury, I have a lot of stress. That stress has caused me some stomach issues and I have been learning to destress and meditate. 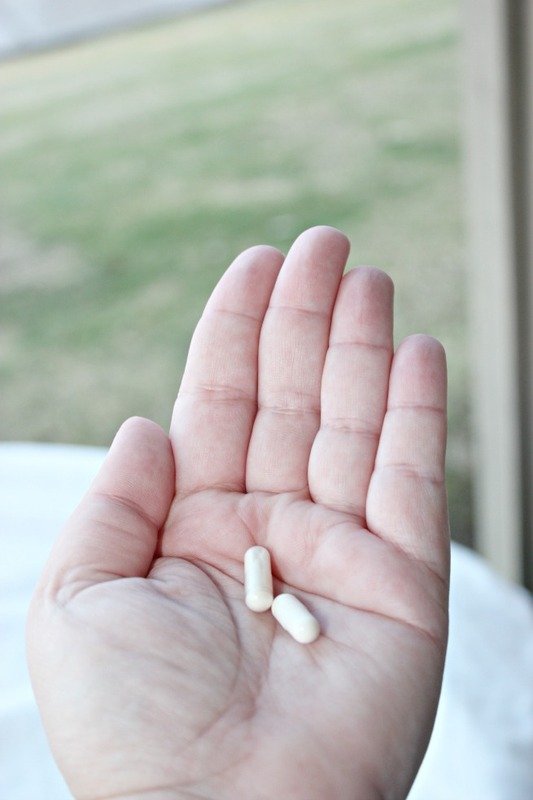 I have decided to add a probiotic to my routine to help support digestive balance! 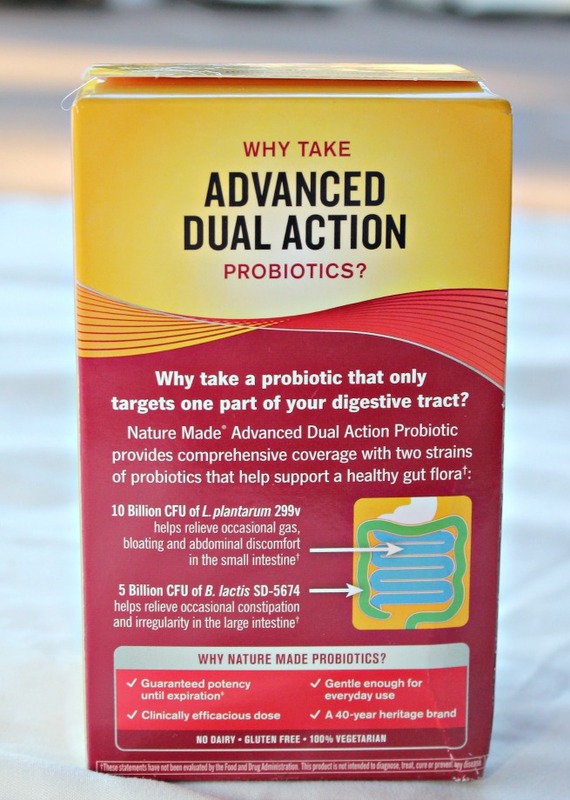 I think we have all heard about the GOOD bacteria needed in our digestive system and probiotics provide the support needed for the healthy gut flora to do its job. I firmly believe in complete mind, body and soul health. I want to be able to live an active life into my old age and I am close to 40, so it's at the front of my mind at all times! 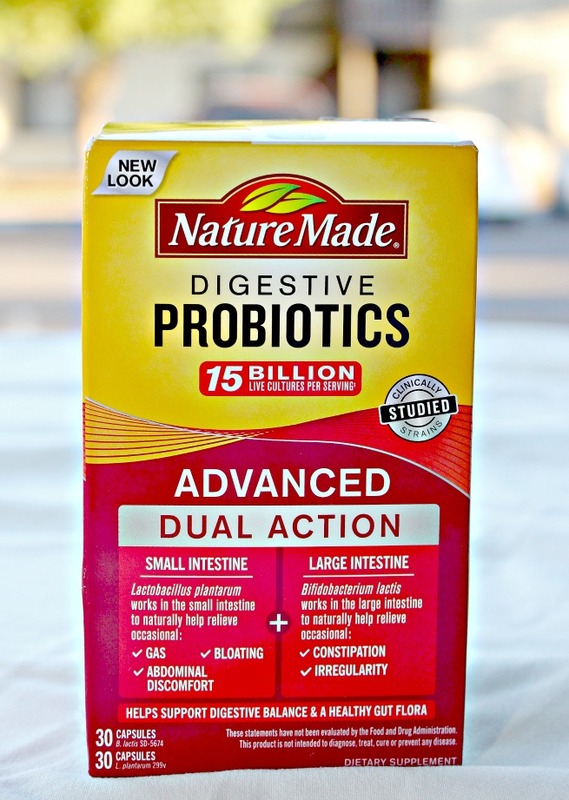 Nature Made's probiotics are dairy and gluten free and 100% vegetarian. 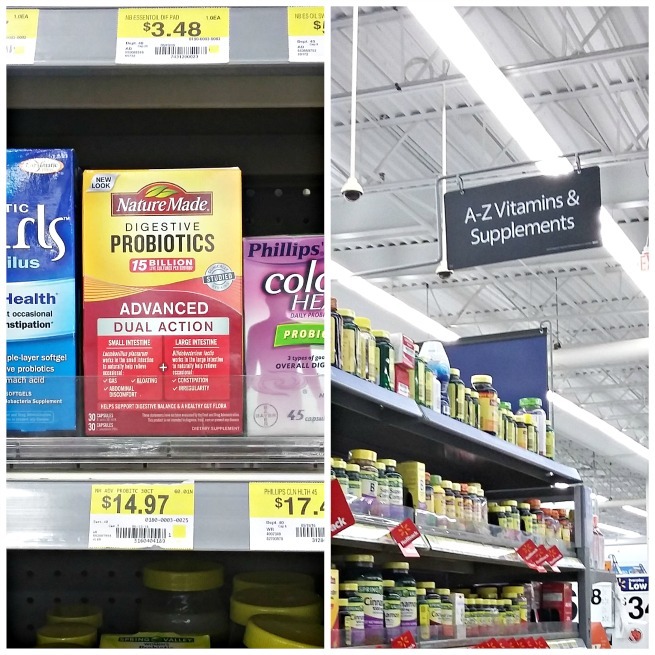 Nature Made Probiotics are available at Walmart SuperCenters. Walmart stores and SuperCenters do carry a full range of Nature Made vitamins and supplements -at every day low prices (stock up now!). Since Nature Made® has such a wide variety of vitamins, minerals, and supplements (VMS) to help support nutritional gaps with your health goals in mind ranging from Digestive Support, Heart Health & Function, Energy Metabolism, Women’s Health and much more!† - head to Walmart and grab some for your daily routine! Would you like some tips and motivation for health goals? Join the Nature Made®Healthy Habit Builder program here for support! How about a $50 Walmart Gift Card? Head to Walmart Nature Made® Retailer Hub and enter for a chance to win one of 60 Walmart gift cards worth $50 each (No Purchase Necessary).